Repro Chandigarh - SMN Infocom Pvt. 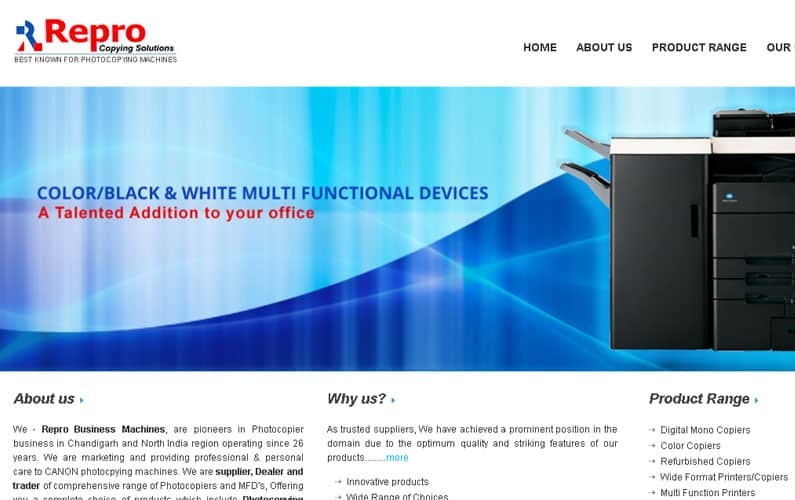 Ltd.
A complete web portal selling photocopy machines. A fully responsive design to fit on all device screen size.